UK start-up Neos is joining forces with American Family Insurance to give US customers the chance to protect their property with smart home technology, reports Jane Connolly. Neos launched its smart home insurance products and services in 2016 and now has partnerships with carriers in the UK and the Netherlands, including majority owner Aviva. 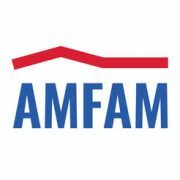 On announcing the first partnership of its kind for a US insurer, American Family says the exclusive agreement will offer its customers the ability to proactively protect their homes and guard against the need to make insurance claims – a mutually beneficial development for both customers and insurer. Matt Poll, CEO and co-founder of Neos, says the new approach will shift the insurance industry from a reactive to a proactive business model. “As the insurance industry is transitioning towards an engaged customer approach globally, our UK launch helped us fine-tune the products and services that American Family will offer its customers in the US,” says Matt Poll, CEO and co-founder of Neos. American Family Insurance will launch the smart home and protective services offering in Arizona and Washington later this year.